Celebrate your daughter’s birthday with My Little Pony Birthday Party Supplies, a recurring thought about this theme is that “Friendship Is Magic”. The images are pretty and will please any little girl. My Little Pony Deluxe Party Pack has everything you will need to create a fun filled birthday party and a little more. Each item can also be purchased separately. All the items have a large image of one of the pretty My Little Ponies on it. The main color theme is lavender, blue and hot pink. I have gathered all the My Little Pony Birthday Party Supplies and placed them on this page. Hopefully this will make it easier for you to find all the items you need to create a memorable My Little Pony Birthday Party. 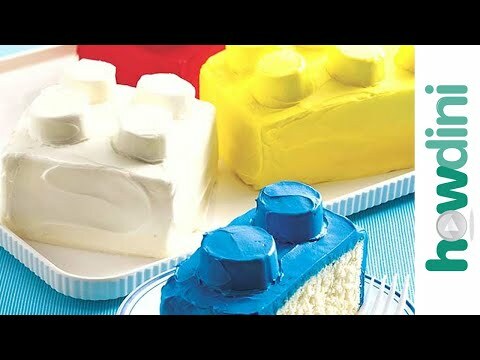 Liv Hansen, Professional Baker and Author, from the Betty Crocker Kitchen is going to show you how to make a building block birthday cake. The step by step instructions are very easy to follow. This cake will work well with a construction party theme. Celebrate a birthday or a baby shower with a ladybug party theme the supplies are cute, colorful and fun. Anyone that likes ladybugs will enjoy this theme. Agent P is the code name for Perry the Platypus, Phineas and Ferb’s pet platypus. Unknown to them Perry leads a double life working for The Agency as a secret agent. The O.W.C.A., a.k.a. The Agency, is a government organization of animal spies. Today Cindy is going to show you how to make an Agent P doll. This is a great craft project for a bit older kids. Or you could make up a few yourself and place Agent P in each favor box.